Helix Charter High School biology teacher Yuchiao Wu-Walden wants to teach her students to engage in out-of-the-box thinking. To do that, she’s doing some out-of-the-box learning herself. 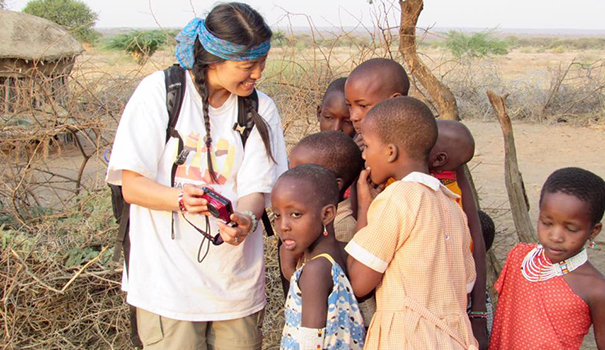 Wu-Walden is currently pursuing a master’s degree in teaching through Miami University’s Project Dragonfly; in late June she traveled to Kenya as part of Dragonfly’s Earth Expeditions graduate courses to study sustainable approaches to human/wildlife coexistence. Dragonfly at Miami University promotes inquiry-driven reform, reaching millions of people worldwide through learning media, exhibits, and education programs. Since the program began 12 years ago, its Earth Expeditions graduate courses, on which the master’s programs are based, have engaged more than 1,700 people in firsthand educational and scientific research at critical conservation field sites in Africa, Australia, Asia and the Americas. In her recent trip, Wu-Walden and her classmates joined Kenyan conservationists, educators, community leaders, and youth to study sustainable approaches to human-wildlife coexistence. 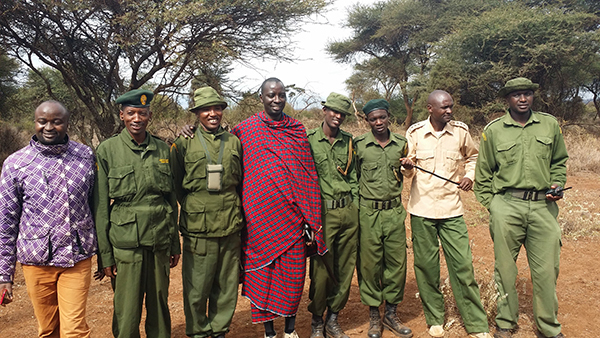 “[The nine-day program] focused on how we can save the wildlife and empower the local communities that live with the wildlife at the same time, and how we can all live together. I teach biology so this works really well because I teach ecology and how we interact with animals. “[MIU] has created a really unique program that’s unlike the typical master’s in science. It’s like a softer-science program. The whole point is really focused on us as students trying to engage with the community, getting us to ask questions and to get involved,” she said, adding that many of her classmates are teachers who are wanting to use what they’re learning to develop lesson plans that encourage kids to engage in creative thinking. For Wu-Walden, that involves coming up with lesson plans about mountain lions. Another unique component of Dragonfly involves where local coursework takes place. Although some of the classes are online, others involve in-person learning at the San Diego Zoo. “[In San Diego] we meet up at the Wild Animal Park, which is where their research facility is. We get lectures from researchers and we get to go behind the scenes at the safari park and at the zoo, we get to see how the animals’ keepers work with them. It’ really nice to get the opportunities that your average person who goes to the zoo cannot,” she said. All in all, Wu-Walden feels her coursework will help her better teach her students about the importance of both wildlife preservation and human-wildlife coexistence. “Since I’ve been in the program I’ve created lesson plans for a lot of our classes where students will do a project instead of a research paper,” she said. For more information on Miami University’s Project Dragonfly, visit projectdragonfly.org. Additional information on Earth Expeditions can be found at earthexpeditions.org. —Margie M. Palmer is a san Diego-based freelance writer who has been racking up bylines for a myriad of publications for the past 10 years. Reach her at mmpst19@gmail.com. Fascinating….. We need more researchers like Nancy Yuchiao-Wu-Walden! it is very nice work for conservation promote human/wildlife coexistence.especially in kenya a plac call shompole/olkiramatian connservancy. thanks a lot yuchiao Nancy wu-walden for your more effort by puting a program on these event of conservation at home and abroad.